Italian association founded with the aim to establish a dialogue between companies operating in the Italian and international industrial plant market. 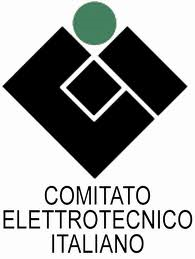 Italian standardization body which is responsible for electrical engineering, electronics and telecommunications standardization at the national level. It also works with the European (CENELEC) and world (IEC) standardization organizations. Confindustria is the main organisation representing Italian manufacturing and services companies which pledges to contribute to Italy’s economic and social growth. Confindustria Charter of Environmental Sustainability Principles provides a milestone for member companies and associations to assess their progress in their path towards sustainable development.